Collectively, the lawyers at the Peskind Law Firm have over 35 years of experience representing people in complex divorce and family matters making them one of the most experienced law firms in divorce law St. Charles has to offer. We regularly help people with property division, resolve child custody matters, address issues of maintaining and child support, and provide assistance with financial matters. We recognize that divorce law attorneys are needed in a variety of matters and we have the experience and provide support and assistance in aspects other law firms don’t. Peskind Law is changing the way family law is handled with are well versed and multi-faceted attorneys. If you are in need of legal representation in regards to family and divorce law in St. Charles, call us today at 630-444-0701 or fill out the contact form on the right and one of our associates will get back with you shortly. Here at the Peskind Law Firm, we know and understand through years of experience that no two clients are alike. That is why we work as a team to develop a uniquely tailored approach to your individual legal matters. It also helps us manage the randomly changing circumstances that are a part of the divorce process and custody cases. With our team approach, you as the client have the advantage and resources of multiple attorneys working on your legal situation. Our system-based method, used with our advanced technology helps maximize efficiency, greatly improves client-attorney communications, and helps make our divorce law services in St. Charles some of the most affordable in the Chicago area. Divorce and family laws are complex and ever-changing. 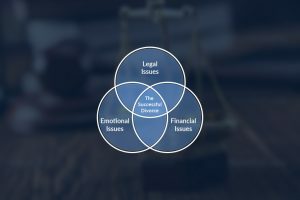 Facing these challenging issues alone can be difficult and having an experienced legal team at your side can greatly ease the stress, while working to achieve the most desirable outcome possible. If you are in need of a family law attorney, call us today at 630-444-0701 or fill out the contact form on the right of the page and one of our representatives will get back to you shortly.